Fundraising Professionals: Decorating Your New Office? Don’t Bother. You Won’t Be There That Long! When Should Managers Do Team Building? Team Building? Oh, No! Wait a Minute! So, someone at your weekly staff meeting just said two words that sent shivers down your spine: team building. You’re hoping that no one noticed you rolling your eyes, but you know you saw the person sitting next to you cringe. There must be someone somewhere who has had an experience with team building that was a success and not a waste of time, but you’ve never met them—and you certainly aren’t one of them. When the exercises are over, everyone just goes back to doing what they were doing before—having learned little more than that Bill is allergic to peanuts, Liza has four cats and Jack is just as annoying outside of work as he is on the job. It is easy to become cynical. There are many reasons why many team building effort fails. An unskilled facilitator. Poor planning. Bad or inappropriate exercises. Unclear goals. But a common reason team building efforts fail is that you shouldn’t have been doing team building in the first place. Team building is not a panacea; there are problems that cannot be solved with team building—and trying to solve them with team building is counterproductive. Do not do team building to try to solve individual performance issues. Team building is not a substitute for supervision. When an individual’s performance is negatively impacting the effectiveness of the team, deal with these issues one-one-one. Using team building to address individual performance issues will backfire and damage morale. Everyone knows that they are suffering through this only because George is a poor performer. Do not do team building when the problem is a lack of resources. If a team does not have the people, budget, materials or technology that it needs to succeed, team building will not make up for that. You need to work with your boss to determine how to acquire the needed resources. Doing team building when the real need is for additional resources will only increase frustration. Do not do team building when the problem is that team members do not have the skills needed to do the job. Do training instead. It can be difficult to determine whether the problem is team related or skill related, particularly when it comes to issues such as poor decision-making, communication, priority setting, etc. But careful assessment is needed to determine whether to do team building or training. To do team building when the real problem is lack of skills will result in frustration and morale problems. Do not do team building when the team has had a bad experience with team building. In these situations it is important to hold off on team building. Effective team building results in a change in the way people work individually and together–therefore, team building requires commitment. It is important that everyone on the team—both the leader and the team—understands this and commits to making these changes happen. When your team has had a bad experience with team building, they will not be able to commit either to the team building process or to the changes that team building might require. Instead of an all-out team building initiative, leaders need to look for ways to help your team improve its effectiveness during regular meetings. As the team makes progress, it may eventually become ready for a full-fledged team building effort. The concept of team building has been around since the 1960s, and team building efforts will continue to multiply as leaders increasingly embrace developing people and teams as an indicator of their own leadership success. Effective team development requires knowing when to do team building—and when not to do team building. Kevin Dincher is an organization development consultant, professional development coach and educator with 30 years of experience that includes not only OD consulting but also work in adult education, counseling psychology and crisis management, program and operations management, and human resources. Posted in Organization Development (OD), Teams. Tags: organization development, professional development, team building. Comments Off on Team Building? Oh, No! Wait a Minute! Solving Problems or Chasing Rabbits? Ask Questions! Socrates Cafe: A Fresh Taste of Philosophy ” target=”_blank”>Socrates Café: A Fresh Taste of Philosophy by Christopher Phillips is now on my list of favorite books. It is a book about asking questions. I like questions—and generally think that we don’t ask enough of them. What is the most important step in solving a problem? Clearly defining the problem in the first place. Asking questions is essential to effective problem-solving if we don’t want to waste a lot of time chasing rabbits through the weeds! 1. Are We Talking About the Same Thing? Rephrase the Problem. In a recent post on one of the discussion forums I follow, someone asked what would be the first thing an OD consultant should do “to save a flailing company.” By the time I saw the post, there was already a long thread of nearly two dozen suggestions. No one had asked a single question. Right off I wanted to know if flailing was a typo. Was it actually supposed to be failing company? Typos are easy enough to miss; I usually catch my worst typos only after publishing a post. Of course, the poster probably did intend flailing–so I wanted to know what she meant by a flailing company. I know what I think a flailing company might be – but that doesn’t mean that we are talking about the same thing. We see this all too frequently: people debating a question or a solution to a problem only to find out that they were actually talking about different things. Unfortunately by the time we realize it we’ve wasted a lot of time chasing rabbits. A problem or a question should generate more questions—and should generate enough questions for us to rephrase our problem so that we are sure we are all talking about the same thing and trying to solve the same problem. 2. Expose and Challenge Assumptions. No matter how simple a problem may seem, it probably carries with it a long list of assumptions. Some of those assumptions may be accurate—but there is that maxim, “You know what happens when you assume.” When assumptions are inaccurate our understanding of the problem is lacking and ineffective. Phillips encourages his readers to ask questions that examine their assumptions rationally. Question each assumption for validity. Essentially you need to learn how to think like a philosopher! You may be surprised by how many assumptions are self-imposed and inaccurate—and with a few good questions you can safely drop them. In the quirky film Seven Psychopaths, the psychopath played by Christopher Walken tries to find something positive to say to one of the other psychopaths about the final shootout scene that he wants to incorporate into the movie script that are working on: “I like it. It has layers.” Problems have layers. A good question to ask is whether the problem you are defining and trying to solve is a small piece of a greater problem. In the same way that we can define and clarify a problem “laterally” by questions to insure that we are talking about the same problem and to challenge assumptions, we can ask questions to do identify “altitudes” or layers. Is the problem really a symptom of a bigger problem? Or is the problem really composed of several smaller problems? Decomposing a problem into many smaller problems—each of them more specific than the original—can provide greater insight into the problem and present more options for effective solutions. Solving problems or chasing rabbits? Einstein is supposed to have said that if he had one hour to save the world he would spend fifty-five minutes defining the problem and only five minutes finding the solution. This quote illustrates an important point: before jumping into answering questions and solving problems, we need to ask more questions. We need to invest time and effort to improve our understanding of the question or the problem before we start solving. Posted in Organization Development (OD). Tags: Christopher Phillips, Einstein, problem-solving, problems, questions. Comments Off on Solving Problems or Chasing Rabbits? Ask Questions! Did Someone Suggest Starting a Family Business? Run the Other Way! …or at least think long and hard before starting or joining a business run by members of your family. 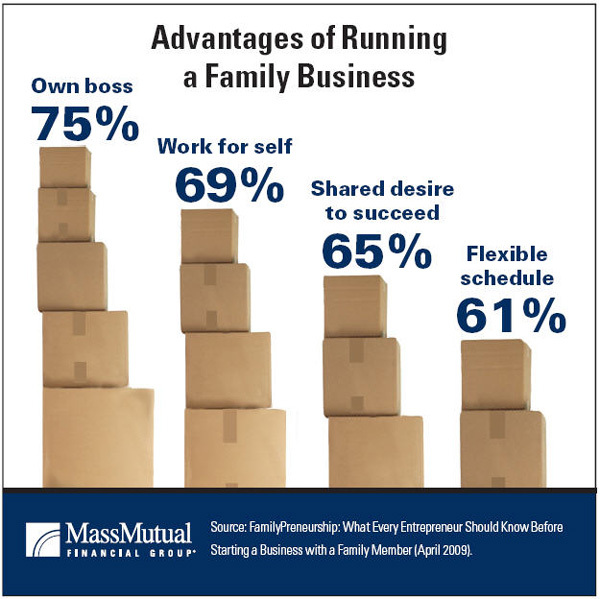 The idea of starting a family business must be incredibly appealing to Americans. According to the US Small Business Administration 90% of the 21 million small businesses in the US are family owned—and 62% of employed Americans work for family-owned companies. But The E-Myth Revisited: Why Most Small Businesses Don’t Work and What to Do About It by Michael E. Gerber is a good reminder that just because you are good at baking pies doesn’t mean you are ready to run a bakery and pie shop. The success rate of small businesses—and of small family-owned small businesses in particular—is amazingly low. Another way that family interests conflict with business interests is the presence of invisible stakeholders—people who have no official position in the company but who exert influence on decision-making. You and your siblings own a distribution company—and each of you has a spouse? Those spouses are invisible stakeholders. Your retired parents passed on a construction business to you and your brother? Your parents are invisible stakeholders. You bought your restaurant from Uncle Nick who comes in every day for lunch? An invisible stakeholder. As long as these stakeholders are invisible, their influence is covert and potentially undermining. If your business is going to succeed, then you need to identify the invisible stakeholders and develop ways of working with their influence overtly. The presence of invisible stakeholders raises something that may seem obvious but is often overlooked by family-owned businesses: in family-owned businesses, the family and the business cannot be separated. Families are usually a mixed bag of healthy and unhealthy patterns, styles, rules and boundaries. For example, to the extent that a family embodies communication patterns that are open, clear and direct, then the family members will bring patterns of open, clear and direct communication to their business. If the family communication style allows for a free exchange (i.e., disagreement) and positively working through conflict, then the family members will bring that style to their business. Conversely, if communication in the family is closed or indirect, if the family avoids confrontation, conflict and disagreement, then the family members will bring that style to their business. The same holds true for family rules and for family boundaries. What is crazy-making in the family will be crazy-making in the business. 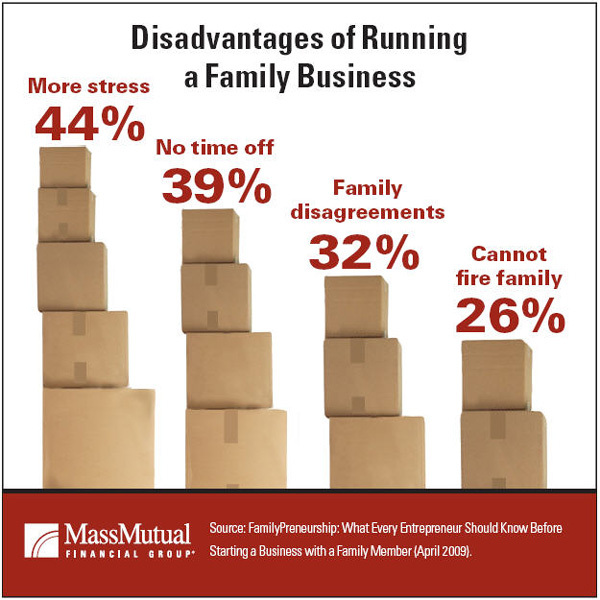 So, before you start or join a family-owned business take a good look at the family. Who makes decisions? How are decisions made? How do family members communicate? What are the family rules and boundaries? The answers to these question will tall you a great deal about what family business. Posted in Organization Development (OD). Tags: family-owned business, Michael E. Gerber, organization development, Paul Morin, small business. Comments Off on Did Someone Suggest Starting a Family Business? Run the Other Way!